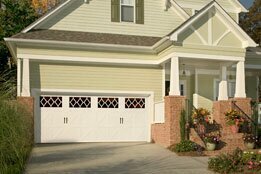 We Specialize in Replacement Garage Doors. Prince William Garage Door is locally owned and operated. Our technical knowledge, expertise, and customer service sets us apart from the many companies that actually operate from homes. We invite you to visit our showroom and see for yourself why we have been serving the Northern Virginia area with a strong referral rate from our satisfied customers. We provide a wide variety of quality door control products at some of the best prices you will find in this area. We ensure you will get the best value for your money. Regardless of which product you select, without a proper installation you will have problems. Chains will break, it will become unbalanced creating unnecessary strain on the motor for the opener resulting in burnt out motors that will need replacement. Make sure your door is properly installed for operation, safety and security. Our door installers are professionally trained to maintain the highest of standards. For doors, installation of a keypad for keyless entry, replacements for broken chains and so much more. Never be locked out again! You’ve found the solution for your Garage Door Needs. We service residential homes and business garage door needs from new installations, replacements and general service to replace springs, remote controls and openers. The products we sell are as beautiful as they are durable with high value installation. Slecet the style that suits your linking and get a professional installation by our trained technicians. Our customers come from all around the Alexandria area just off the Capital Beltway (495), 395, Route 1 and King Street. We have satisfied customers from Seminary Hill, Linconia, Old Town Alexandria, Del Ray, Landmark, Groveton, Belle Haven, Huntington, and the Ronald Reagan Washington Nation Airport surrounding area.